Tune in to Live Constructions Sunday, February 5 at 10:00 PM EST for an exclusive live set by Henry Fraser (bass) and Sam Weinberg (sax). The duo will also share music from their band, Maestro Day and will talk about their music and a future duo project on an interview. 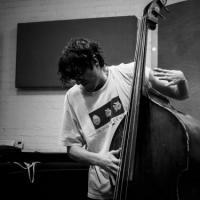 Henry Fraser is a bassist, composer, and improviser from Boston, MA. He received his B.F.A. from New England Conservatory of Music in the spring of 2014, where he studied with Cecil McBee, John McNeil, Anthony Coleman, & Ted Reichman. Since moving to Brooklyn, NY in 2014, Henry’s unique combination of technical facility and aesthetic flexibility have made him an in-demand sideman and formidable band leader. Henry has performed throughout Europe and South American, including suchfestivals as the Panama Jazz Fest and the New Orleans Jazz & Heritage Festival. Current projects include Michael Foster's The Ghost, the Chris Pitsiokos Quartet and Maestro Day, as well as regular collaborations with the likes of Joe Morris, Brandon Seabrook and Jack Wright.